Venezuela hit back at Colombia on Wednesday branding as fake news claims from its neighbor that helicopters and troops had violated its sovereignty in an illegal incursion. 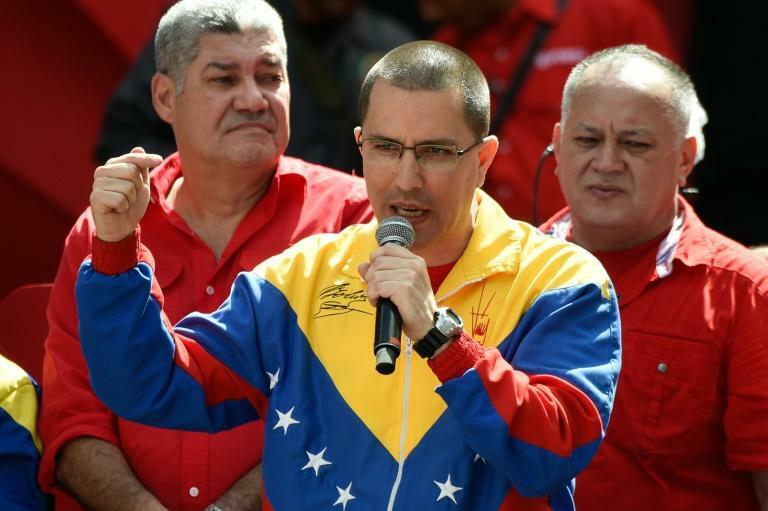 Venezuela has "no doubts in qualifying" the news as "another false positive," the foreign ministry said in a statement. "There was no incursion of any sort either by air or land," it added. Colombia had sent a strongly-worded protest to the Venezuelan ambassador on Tuesday over what it claimed was an incursion into its Norte Santander department on Sunday. "Two helicopters, identified with the initials of the Bolivarian National Guard and about 30 armed personnel belonging to the Bolivarian National Armed Forces of Venezuela" landed in the border region of Tibu, Colombia's foreign ministry said. The South American neighbors have locked horns in recent years over similar incidents along their 2,200-kilometer (1,370-mile) border, which is crisscrossed by guerrillas and drug traffickers. The most recent incident was in November last year and also involved the Tibu region. Colombia's right-wing President Ivan Duque is a vocal critic of far-left Venezuela counterpart Nicolas Maduro and has denounced his "dictatorship." Earlier this month, Maduro accused Duque's predecessor Juan Manuel Santos of being behind an alleged attempt to assassinate him during a military parade in Caracas. Colombia has been swamped by a flood of migrants streaming over the border to flee an economic crisis that has left food and medicine shortages following four years of recession. More than a million Venezuelans have entered Colombia in just the last 16 months. Maduro, though, accuses his neighbor of sheltering his political opponents. Following the statement, Foreign Minister Jorge Arreaza said on Twitter that his country "won't stop its efforts to protect its population and expel from its territory the plague of Colombian violence and drug-trafficking."